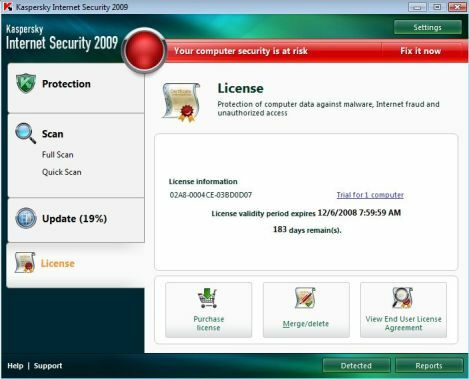 Kaspersky Internet Security 2009 (KIS2009) is the latest version of Internet Security Suite from Kaspersky Lab. KIS 2009 version 8.0 is a new generation product for protection of home users against all types of data-related threats. Kaspersky Internet Security 2009 prevents and blocks all known malware types or threats, proactively defense against new threats of any type with behavior emulation in isolated virtual environment for unknown applications and restriction of their access to system resources. New component for filtration of application activity based on an internal innovational HIPS (Host Intrusion Prevention System) class system that allows control over the functioning of any application on user computer through restriction of their access to system resources (files, registry, peripheral devices, networks). Search and analysis of vulnerabilities in the software installed on host computer (including Microsoft Internet Explorer) to maintain system security on an adequate level preventing exploits of potential threats. New wizards such as Security Analyzer and Browser Configuration, and special task monitors have been added for simpler and more convenient user interaction with the application. Use of lists of trusted applications (whitelisting). New tools – Network Monitoring and Network Packet Analysis – facilitate collection and analysis of information about network activities on your computer. Privacy Cleaner Wizard which deletes from the user’s computer all information about his or her actions which can present an interest to intruders (list of visited websites, opened files, cookies, etc.). Recent Terms server technologies to increase efficiency of anti-spam. Microsoft Office Outlook, Microsoft Outlook Express, The Bat! and Thunderbird extension plug-ins simplifies the process of configuring the anti-spam settings. ICQ and MSN traffic scan has been added which ensures security while working with instant messengers. Security of the use of wireless networks is ensured through the scan of Wi-Fi connections. Users with the existing Kaspersky products of Kaspersky Internet Security 6.0 and 7.0 with valid subscription period left can upgrade to Kaspersky Internet Security 2009 (8.0) for free. So for user who use the free 6-month license activation code for KIS 7.0 offered by Switzerland’s UBS, can upgrade to KIS 9.0 for free too. Simply download and install latest version of Kaspersky Internet Security (KIS) 2009, and the use the following activation code provided by UBS Switzerland to register and activate the KIS 2009. After installation, simply click on Activate Online to perform instant activation instead of using trial version. The activation code will convert KIS 2009 to a trial product with 183 days of subscription validity period from date of activation. 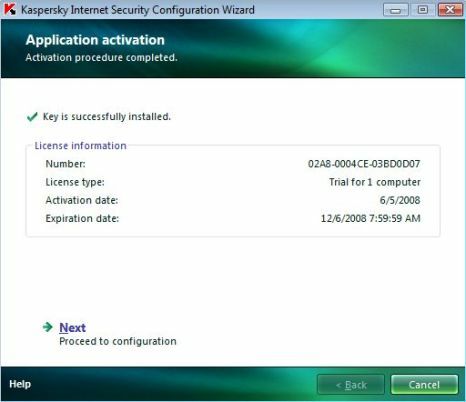 So it you activate the “Trial Version” first which allows user to use Kaspersky Internet Security 2009 for 30 days, and then activate online with the activation code at the end of free trial period, effectively KIS 2007 can be used for 7 months. Of course, provided the promotion hasn’t expired. 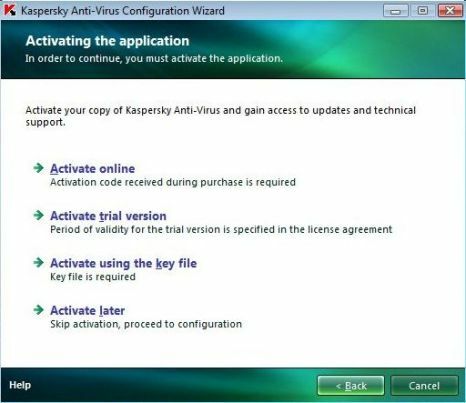 Although KIS 2009 program says it’s activated with a trial license reg key, the activation code is valid and genuine, and comes with 6 months of free support and unlimited hourly virus signature update subscription. Most importantly, it can be used with no limitation or time restriction. There is even more generous free 1 year for 3 PC license of KIS for Barclays customers.